Around 350 to 400 metres of trees, including the native Bellarine yellow gum, on Grubb Road have been saved. 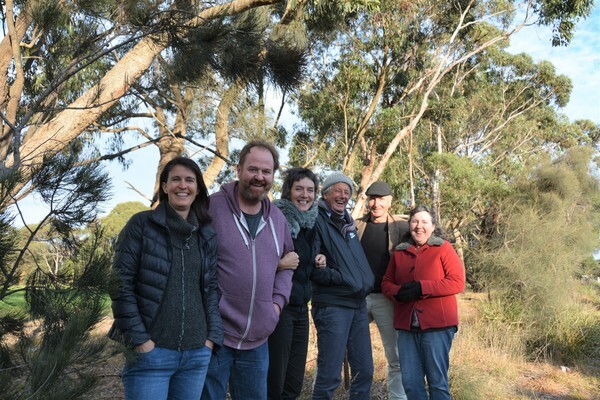 Initially around 720 metres of trees were facing the chop due to a new housing development, but meetings between Shell Road Development, Ocean Grove Community Association, community groups and individuals were successful in reducing the numbers. Any future landscaping will be done using native trees and in the style of those being removed. Ocean Grove Business Association president Ty Simons said he was happy with the outcome. “We worked together with the developers to get a result,” he said. Mr Simons said Ocean Grove Community Association’s Michael Harbour was the catalyst behind the saving of vegetation. “Michael has really spearheaded this,” he said. “He put in a massive amount of work. “We believe that based on the original application of 700 metres of native vegetation to be removed we have saved up to 300 metres of native vegetation and possibly 400 metres, depending on what happens at Access Points 3 and 4,” Mr Harbour said.